From 1919 to 1933, my maternal grandmother’s close friend Ethel North was lady’s maid and companion to Lady Winifred Burghclere, the elder sister of the 5th Earl of Carnarvon. He was the one, who along with archaeologist Howard Carter, discovered the tomb of Tutankhamun. Fans of the extraordinarily popular UK television series Downton Abbey will probably know that the Carnarvons were the real life inspiration for the fictional Crawley family and that their ancestral home of Highclere Castle was used extensively in the filming of the series. In 2008, I was going through some of my elderly mother’s possessions following the sudden death of my father and my mother’s worsening dementia, when I came across a box of old letters and postcards tucked away at the back of her wardrobe. They had been sent to my grandmother by Ethel North while she was in service to Lady Burghclere and my mother had obviously kept them all. When I looked at the letters more closely, I discovered that at least one of them had been written from Highclere Castle, as well as from Lady Burghclere’s residency in London and the homes of other Carnarvon family members. A large amount of the correspondence had also been sent from the many places around the world that Ethel visited with Lady B (as Ethel refers to her in the letters) including America, Canada, Europe, Palestine and Egypt, where she and Lady Burghclere were shown around the Tutankhamun excavations by Howard Carter himself. I also discovered that Ethel’s letters contained lots of interesting “gossip” about the Royal Family and the Carnarvons, as well as many leading figures of the day including Sir Winston Churchill, General Haig, the British diplomat Sir Esme Howard and the Archbishop of Canterbury. As a complete collection, they painted a fascinating portrait of the social, cultural, economic and political climate of the time. However, what really struck me on reading them was that Lady Burghclere and Ethel clearly became much more than just mistress and servant. It was obvious as the letters progressed that they developed an extremely close friendship, becoming more like sisters or even mother and daughter. This seemed quite remarkable for two women from such opposite ends of the social spectrum, especially during a period in post-war Britain when “class” was still everything. After eventually finding time to read all the letters and postcards, I began to feel very strongly indeed that I wanted to get them published as a non-fiction book. I decided to call it ‘My Dear Elsie’ as that is how most of the letters begin. Of course, as I soon discovered, wanting to get a book published and actually doing it are two completely different things. Seven years later, following a very turbulent time in my personal life, I finally started the process of trying to find an agent/publisher for ‘My Dear Elsie’. I decided to set up this website, partly to help with that process, but also as a way of documenting my journey as I try to get the letters into print, so that I can share Lady Burghclere and Ethel’s story with the rest of the world. I hope you will feel able to join me on this journey. Your comments, thoughts and ideas on the project would be most welcome. Melissa Lawrence – August 2015. 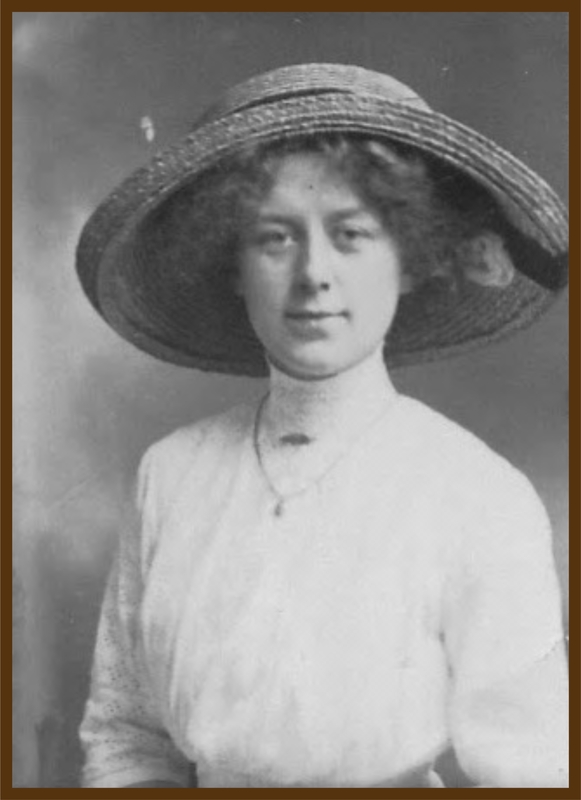 Disclaimer: Please note that this website has been set up in good faith by Melissa Lawrence with the express intention of publicising a collection of letters written by Ethel North to Elsie Merrall between 1919 and 1933 with a view to publication of said letters. It is not in any way connected with or endorsed by any living member of the Burghclere, Carnarvon or North family. All text and images on this website Copyright Melissa Lawrence 2015 unless otherwise stated. Hi Melissa. All very interesting. I’ll be following your new blog. I will be following this blog, and look forward to reading the book! Thanks Crystal Wizard. Your support is really appreciated. This is all so fascinating, Melissa. I know we’ve talked about it on the phone but you bring it all to life on your blog. So sorry for the delay in replying, by the way. Your card came when I was away for a couple of weeks. Thank you very much, Jane, for those kind words. Hope you had a good time away. What a fascinating personal record of a historical time. These would be revealing from so many aspects. Keep up the hard work to share with the world a friendship between two women and the discoveries of the ancient world and the international world that was indeed a great adventure. I have become inspired to share my explorations into French plumbing which has been the ‘bane of our lives’ in our salle de bain. Many thanks for your thoughtful and interesting comment and kind words of encouragement. I shall try and keep up the good work. I’m really pleased that you picked up on the friendship between the two women as that for me is the real “story”. Good luck with your plumbing explorations! !